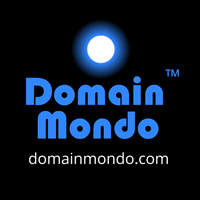 Domain Mondo | domainmondo.com: ICANN IRP, Dot Registry New gTLDs INC LLC LLP, Tempest in a Teapot? ICANN IRP, Dot Registry New gTLDs INC LLC LLP, Tempest in a Teapot? UPDATE August 31, 2016: Letter (pdf) to ICANN Board of Directors and ICANN Board Governance Committee from Shaul Jolles, Dot Registry LLC CEO, re: "Correction of Factual Inaccuracies in Reconsideration Request 16-11 in relation to the 9 August 2016 Board Resolutions 2016.08.09.11, 2016.08.09.12, and 2016.08.09.13 in the Dot Registry, LLC v. ICANN (01-14-0001-5004) Independent Review Process (“IRP”) Declaration of 29 July 2016." Good week to get out of town! IRP Declaration (decision) and transcript embedded below. Other IRP (Independent Review Process) documents here. UPDATES: See also Delaware Secretary of State letter (pdf) and ICANN Board Resolutions at its August 9, 2016, meeting.